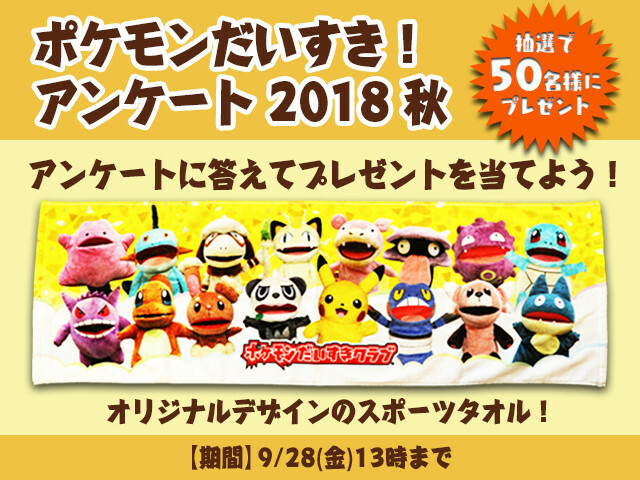 Pokemon Daisuki Club, one of official websites that belong to The Pokemon Company, is giving away 50 original design sports towels. In order to have a chance to win a sports towel, you’ll need to answer a survey that’s being conducted by Pokemon Daisuki Club. The survey ends September 28, 1pm JST and is in Japanese. Enter here. 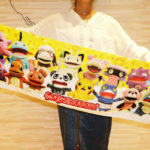 As to what the sports towel is all about, it features the Pokemon puppets that regularly appear in Pokemon Daisuki Club articles. The sports towel measures 110cm by 34cm and couldn’t be purchased through normal means.